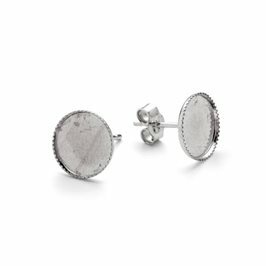 Explore our range of jewellery settings for cabochon stones to make beautiful pieces of jewellery. 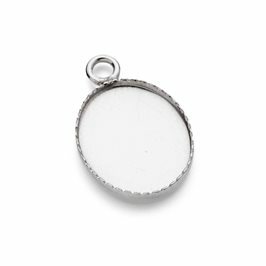 Great for jewellery making beginners, we have a wonderful range of ready-made settings including rings, earrings and pendants where you simply need to glue in or push the setting over your chosen cabochon. 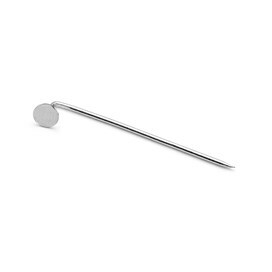 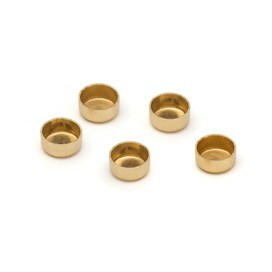 We also have loose settings and mounts for cabochons, which can be used to solder onto a ring band or pendant. 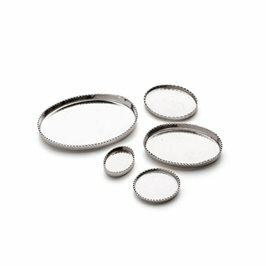 You may also like our stone setting tool kit, which contains all the tools needed for using ready-made settings. 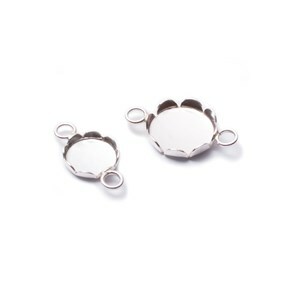 Whether you want to make a ring, pendant or bracelet our cabochon settings are the perfect place to start. 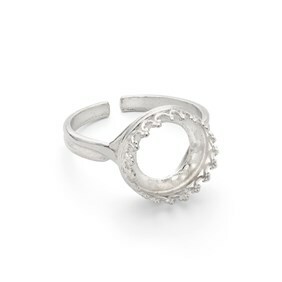 Our ready-made settings are so easy to use to create beautiful designs. 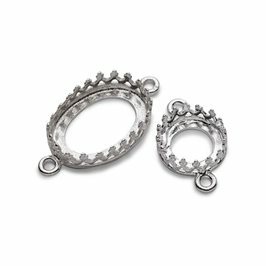 Choose from a range of settings in a range of shapes, sizes and metals. 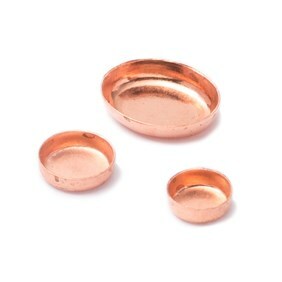 Bezel cups are a brilliant and easy way to set your cabochon stone with a neat and professional finish. 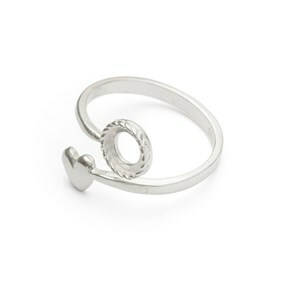 All you need to do is solder the bezel cup to your design such as a ring, insert the cabochon and use a bezel rocker and burnisher to set the stone. 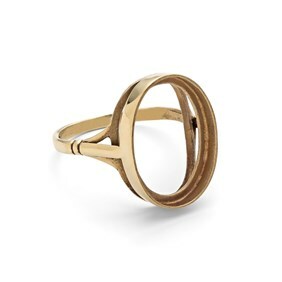 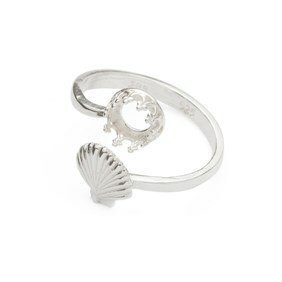 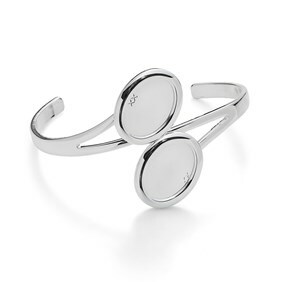 At Kernowcraft, we have a range of bezel cups including sterling silver, copper and 14ct gold. 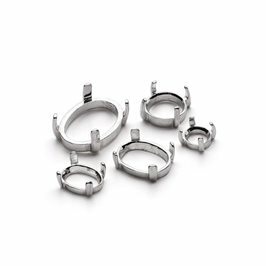 We also have many styles to choose from such as plain, milled edge, serrated edge and petal edge bezel cups in various sizes. 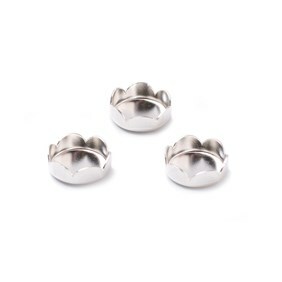 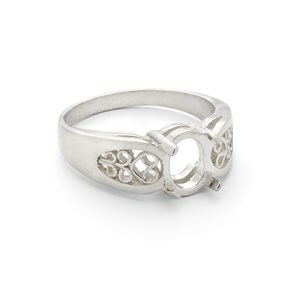 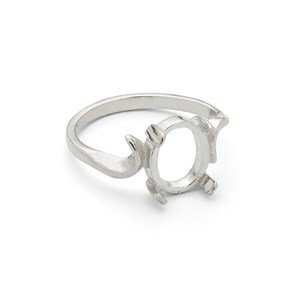 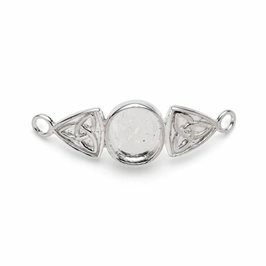 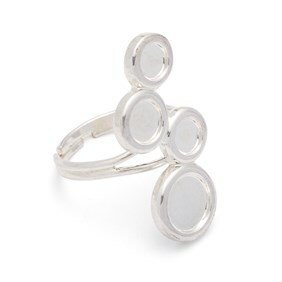 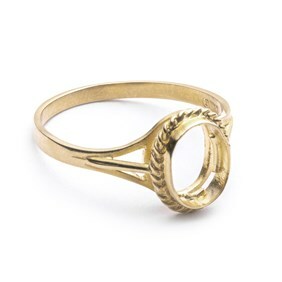 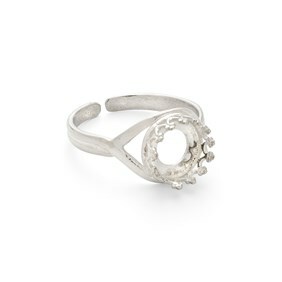 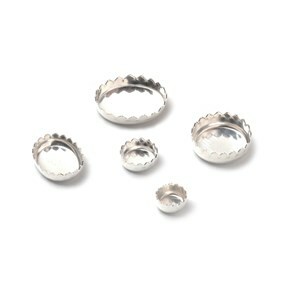 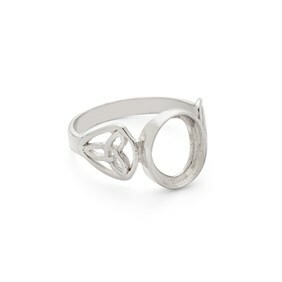 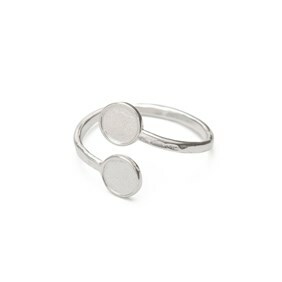 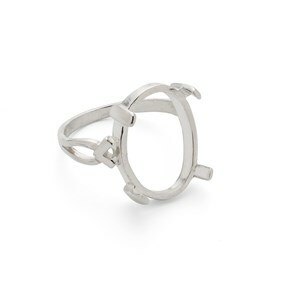 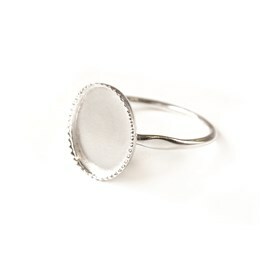 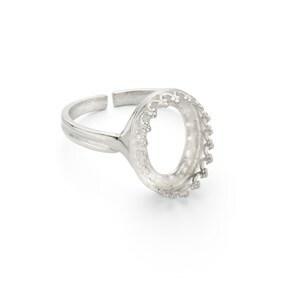 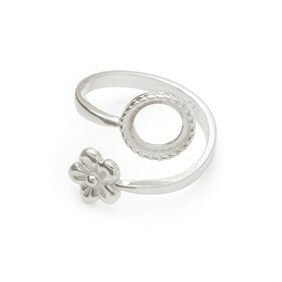 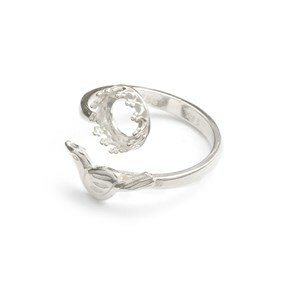 Our sterling silve claw settings for cabochon stones are an alternative to the usual bezel setting. 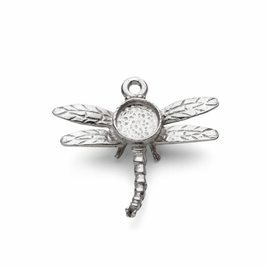 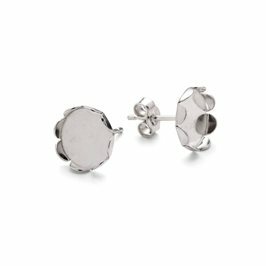 Simply solder onto your jewellery design and set the stone by using a pusher to push the claws over the cabochon to hold it in place. 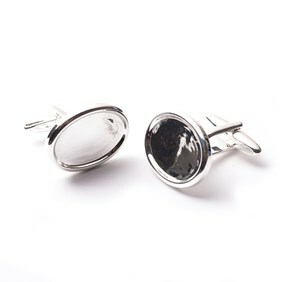 Available in a range of sizes. 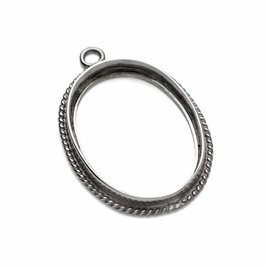 Link settings have two loops at either end and are great for experimenting with designs and incorporating with other elements such as charms. 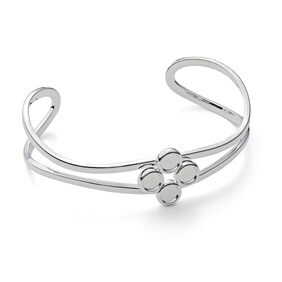 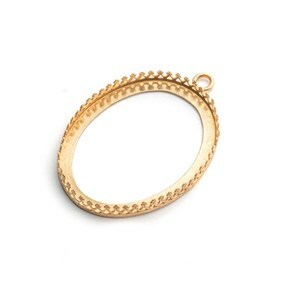 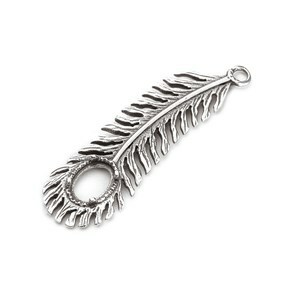 These are popular to use for bracelet designs and earring drops. 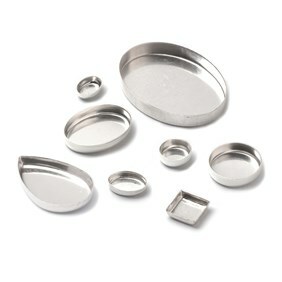 Many of our pendant, link and ring settings are suitable for glueing your chosen cabochon stone using Devcon Epoxy Glue. 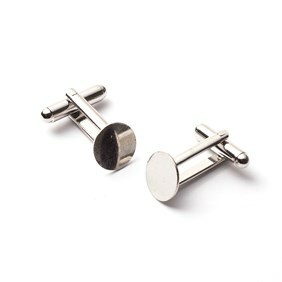 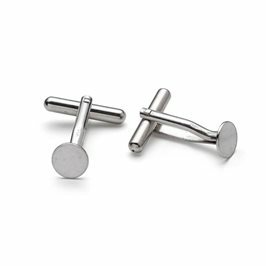 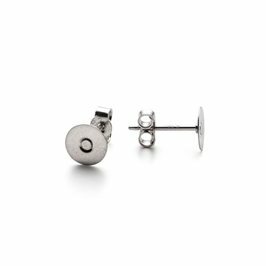 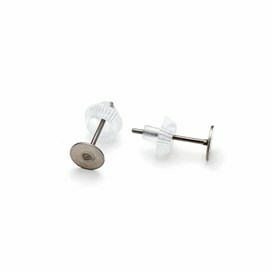 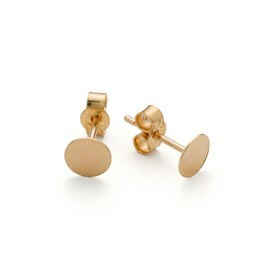 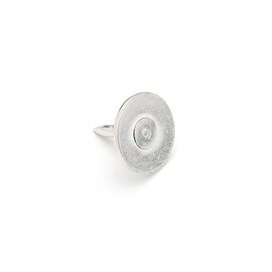 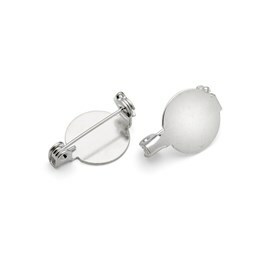 This includes flat plate earstuds, pins and cufflinks which are perfect for creating simple designs. 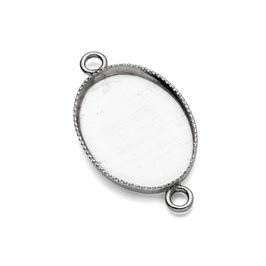 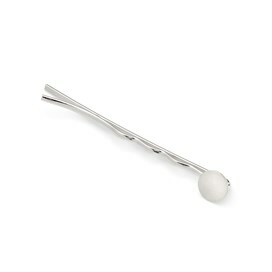 Gallery wire settings are a popular choice for setting cabochon stones. 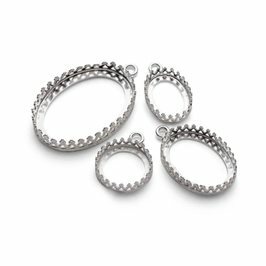 Available as pendants and rings, gallery wire settings are so easy to set and turn into necklaces, earring drops and instant rings. 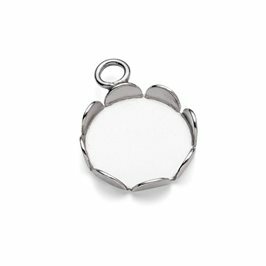 Watch how easy it is below.